What is romance? Ask a thousand people, and you'll likely get a thousand responses. Romance isn't quantifiable by numbers or statistics and therefore, isn't easy to define—but listen to love songs or watch a romantic comedy, and you'll recognize the unmistakable symptoms of this infatuating feeling called love. "The first thing that happens when you fall in love is the person takes on what we call special meaning," said Helen Fisher, Ph.D., author of Anatomy of Love, in a recent Intelligence Squared Debate. "Everything about them becomes special—the street they live on, the music that they like. You focus on them. You get elated when things are going well, have mood swings when things are going poorly. But what you really want them to do is to call, to write, to ask you out, and to tell you that they love you." We've all been there—we've all felt that ping in our hearts for that one person that we simply cannot get out of our minds. But even though love is one of the most basic human instincts, it's not an easy one to master. For decades, we've been trying to quantify love—and in the age of dating apps, we've made it our mission to decode it with algorithms. We believe that romance is somehow a numbers game—the more we play, the better the odds. But is that really the case? Last week, OkCupid VP of Engineering Tom Jacques and Fisher, who is also Match.com's scientific advisor, came together at Intelligence Squared to argue that dating apps are designed to find love. Their opponents, WNYC's Note to Self host Manoush Zomorodi and Aziz Ansari's Modern Romance co-author Eric Klinenberg, argued that online dating has killed romance. Who won, and more importantly, what were the arguments for (and against) dating in the world of apps? Ahead, we delve into the complicated world of finding love in the digital age. Has romance changed since the beginning of humanity? Sure. Our priorities have shifted. The courtship of ancient times looks nothing like the banter we experience over iMessage today. Flowers on a first date have been replaced by a casual text: "U up?" But has the feeling of romance changed? Klinenberg defined romance as "the sense of being swept away, remote from reality, away from everyday life. It's that sense of being preoccupied with some other person. You think about them and care about them so much that everything else kind of melts away." 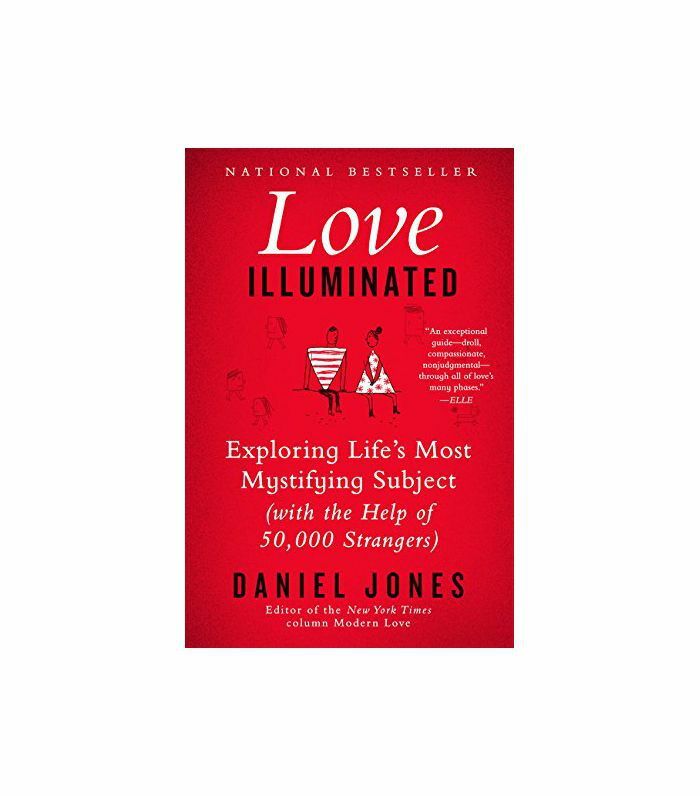 As The New York Times' Modern Love columnist Daniel Jones pointed out in his opening keynote statement, we feel like love should be something we can get better at, something that we can solve: "We bring science and technology to it—but what I like about love is that none of that ever seems to work." The sequence of dating has also shifted in recent years, partly due to the fact that singles are living alone longer and getting married later in life. The short courtships of yesteryear, where the end goal was to get married swiftly, have been replaced with casual dating: "People are working slowly into friends with benefits, then slowly into dating somebody," Fisher pointed out. "What we're seeing is a real extension of the pre-commitment stage before we tie the knot. Where marriage used to be the beginning of a relationship, now it's the finale." Jones, who has been dubbed the "male Carrie Bradshaw" and has personally read more than 80,000 first-person accounts through his column, noticed another shift in recent years—one he attributes to online dating. "I think people are terrified," he said. "To be vulnerable with someone is what love requires, but that's the hardest thing. And I think it's harder these days because we have these ways of sheltering ourselves and being meeker about how we ask someone out. You know, it's just a text that says, 'What's up?' You have to practice vulnerability to do it well, just like anything. I worry that our tools are allowing us not to practice vulnerability." Why are dating apps bad? It's easy to recall a catfishing horror story or an unwanted, gross sexual advance on an app to dismiss their effectiveness altogether. "You have to deal with all the extremely unromantic difficult behavior, whether it's rating people by what they look like or dealing with extremely rude, racist, sexist comments," argued Zomorodi. We can also argue that online dating is a $2.7-billion-a-year industry and that the data recorded by these companies doesn't necessarily translate into a winning algorithm. But the problem is much more complex. In an opening statement, Klinenberg argued that dating apps are changing our behavior toward romance: "They're changing our norms, making us ruder, flakier, and more self-involved." 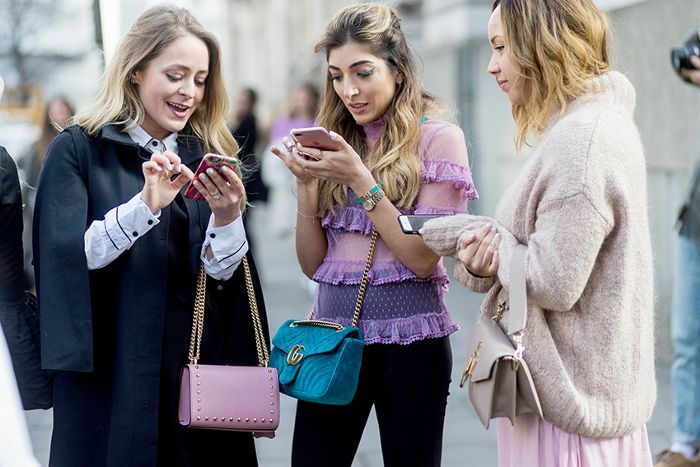 Whether it's through email, Instagram, or Tinder, phones demand our attention constantly. "It is always telling us that there's something or someone that deserves our attention more than the person we're with and the thing we're doing now," the sociologist said. "And this matters because romance and love don't come from superficial connections. At the end of the day, romance is impossible without sustained face-to-face contact. What's important is not the quantity of our dates; it's the quality of our interactions." The anti-online-dating camp will argue that apps encourage people to treat others like objects in a transaction; that it's superficial. "People routinely lie about their height, their age, their weight, their income," said Klinenberg. "They put huge amounts of attention into their photograph—and for good reason. About 90% of online dating is about the quality of your picture." The transactional nature of dating apps has seeped into real life in a way that, experts argue, kills the romance that leads to love: "Dating apps have destroyed another important aspect of romance: civility and conversation, basic emotional intelligence, eye contact, being able to read someone's body language," said Zomorodi. Klinenberg furthered the argument by suggesting that with online dating, we treat dating like a mathematical equation instead of honing in on our emotions: "I think we make a mistake in thinking that we can game this, that we can get this right quantitatively—because you don't really know until you're with that other person, whether you have a spark. And it doesn't happen in 10 minutes. We know from the best research that the way to get at what is really distinctive and human and special about another person is to spend time with them." So the issue in dating apps is not so much that it can't lead to love, but rather that we don't give people a chance. We treat dates like commodities that can be replaced instead of fostering true connections. The argument that dating apps make romance less personable and more systematic isn't new, but data also suggests that online dating has high success rates, especially in marginalized communities: the handicapped, the LGBTQ+ community, and people over the age of 55. "A number of studies estimate that over 40% of relationships today come from meeting on a dating app, and over 70% of LGBTQI relationships do," argued Tom Jacques. "What about the people who don't have any other options, the people who are scared to go out, maybe they're not openly gay? This is a mechanism where they can use these apps to actually meet people that they don't otherwise have." Data also shows a rise in interracial marriages linked with online dating and higher marital satisfaction among couples who met online: "A recent study that got global attention in 2017, says that we're actually seeing an unprecedented rise in the number of interracial marriages," said Jacques. "This is what dating apps do. They break down barriers and allow you to connect, form relationships, get married to people who you might otherwise never have the chance to meet. What isn't romantic about that?" Dating apps might be on the receiving end of criticisms about their algorithms, but Jacques also argued that there is a lot of misconception around how people are connected online: "We don't look at things like hair color or eye color or height or weight. We look at practical, behavioral measurements. We look at who's online. What we do is we present to you the people who are available, and we try and show you things that you can use to connect." The woes of modern dating, then, stem not from the technology itself, but its inevitable misuse. In one argument, Fisher pointed out that dating sites should be viewed as introducing sites that connect people of all walks of life. And with any new technology, the learning curve can be steep: "The biggest problem is cognitive overload," argued the biological anthropologist. "The brain is not well built to choose between hundreds if not thousands of alternatives." Is the answer to limit our interactions on dating apps? And is traditional dating really better than the negative interactions often associated with online dating? "One of the main complaints that women have when they go out is that people are hitting on them, giving them unwanted attention, and they don't have the mechanisms to just make those people go away," argued Jacques. "Well, guess what. Dating apps let you just swipe those problems away." Through good dates and bad ones, whether we look at traditional courtship or a simple "What's up?" on an app, Fisher believes in the resilience of romance. Her study of more than 35,000 people on Match.com points to one thing: "The top things that people are looking for is somebody they respect, somebody they can trust and confide in, somebody who makes them laugh, somebody who gives them enough time, and somebody who they find physically attractive." In her conclusion, she drove one point home: "The drive for romance and love is one of the most powerful brain systems the human animal has ever evolved. Apps have their problems, but apps never have and never will kill the brain circuitry for romance. Thirst and hunger keep you alive today; romantic love enables you to focus your mating energy on somebody else and pass your DNA on into tomorrow. This is a survival mechanism, and it will not die, whether you swipe left or right on Tinder." She is not alone in sharing this belief. The audience, encouraged to vote for or against the motion, also agreed that while they may carry a unique set of problems, dating apps haven't killed romance. The stats speak for themselves. According to Fisher, in the last eight years, 6% of singles met somebody in a bar, 24% met through a friend, and 40% met somebody on the internet. Additionally, 57% think that online dating is a good way to meet people. Most importantly, 89% of singles today believe that when you find the right person, you could remain married for life. But perhaps the strongest argument for the resilience of romance came from Jones's opening keynote argument: "I've come to admire people through the column, the people who repeatedly open themselves up to love after they've been crushed. There are really two kinds of people in this world. One kind who says, 'Okay, I'm going to love again.' And another kind who says, 'I can't do that again,' and go in the other direction. If you can be on that right side of openness—you have a chance at a happy life." Around the world and since the beginning of time, people have loved, gotten crushed, and loved again. That is the resilience of humankind. We may find ourselves in the muddy waters of a new and messy dating universe, but if history is any indication, romance has always prevailed and will continue to do so.